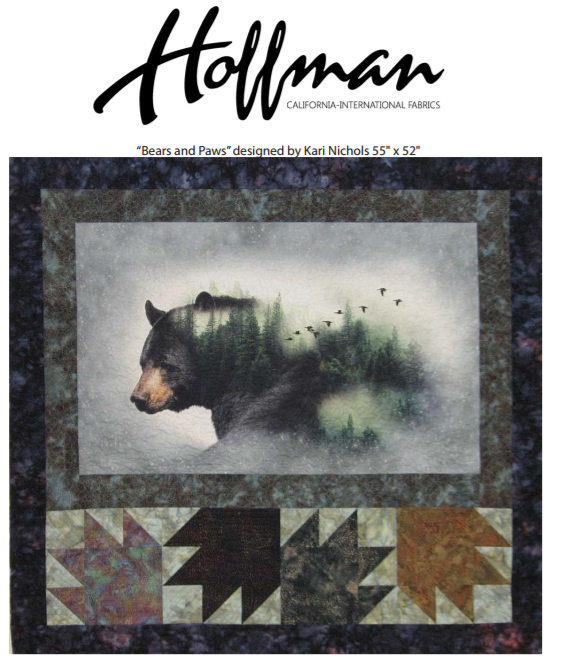 Free pattern for Bear and Paws, courtesy of Hoffman Fabrics of California. Designed by Kari Nichols for Mountainpeek Creations. Beginner level quilt. Finished size 55" x 52"